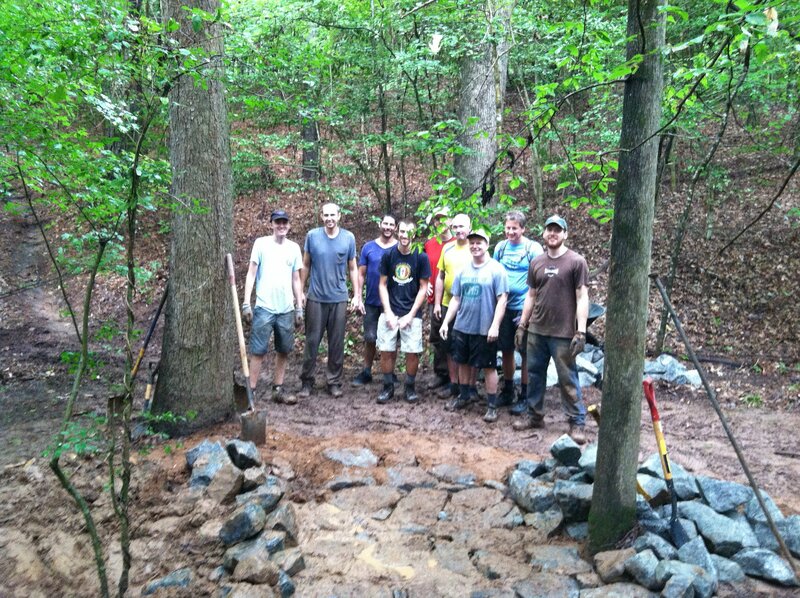 We had about 10 guys show up for the Beaverdam work day. Appreciate all the help. Thanks to FALA for letting TORC hold races at the park. To show that TORC supports the trails, we wanted to contribute some material and work days to the trails. We had a load of rock delivered to the park and picked some areas that will help the trails dry sooner and be open longer. The main problem was a seasonal stream near the tip of the South Loop that is always a muddy mess during the winter and after a rain. With the help of Ranger Emily, we brought rock down to the site on their six wheeler\gator from top at the boat ramp entrance. Hauled the rock from the Beaverdam entrance by truck and armored across that stream bed. Thanks to Corey for being in charge of the armoring and doing such a great job. Closer look at the rock work. Thanks for those who came out to support these work days. We continually need people to help on these work days. Consider how you can help take care of the trails that you ride. The work looks fantastic. Can’t wait to check it out in person. How was that line of thunderstorms that blew through? Meh, the rains came, got real wet real fast and then left. 😉 Corey and his crew probably got the worst of it since being down in the mud the whole time. Turned out great though.